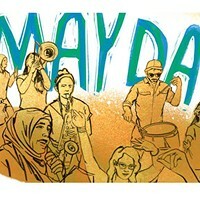 But what steps can actually be taken to stop this scourge? 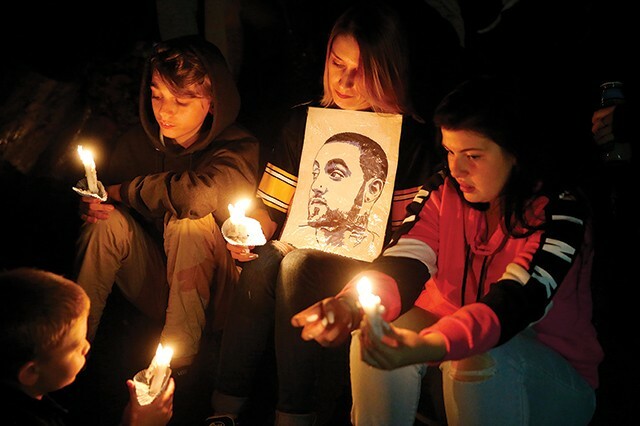 Fans mourn Mac Miller at a memorial vigil after the artist’s death in September. Since 2008, Allegheny County has experienced more than 3,800 overdose deaths. Of those, opioids could be found in a majority of victims. 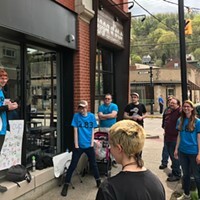 In 2016, of counties with over a million residents, Allegheny County had the highest drug overdose death rate in the nation: 50 per 100,000 residents. On September 7, the region lost a favorite son to the overdose of rapper and Pittsburgh native Mac Miller. According to recently released reports, he was found dead in his Los Angeles home, overdosed on alcohol, cocaine, and fentanyl, a powerful opioid. Miller was 26 years old, and about to go on tour, including a November show in Pittsburgh. In the past, Miller had openly admitted to addiction problems with substances like the opioid codeine. His death shines yet another light on opioid-related substance abuse. The national epidemic is particularly stark in Allegheny County. With another high-profile death thrusting the problem to the forefront, advocates are renewing calls to take action to end the epidemic. What are the steps needed to stop the scourge? Dr. Stacy Lane of Central Outreach Wellness Center in North Side says addiction patients need easier admittance to rehab centers. She says people ready for treatment can wait days, often resulting in relapse. Lane says funding for more beds is needed, so patients can be treated for longer than the typical two-week stint. She recommends rehabs housing patients for up to 90 days. Pennsylvania Attorney General Josh Shapiro agrees. He says the opioid epidemic is the commonwealth’s top public-health issue. And while his office has ramped up enforcement, arresting on average 4.5 drug dealers per day, and started investigations into drug manufacturers, he believes more needs to be done to treat those suffering from addiction. Changes to these programs also mean changes for patients coming out of rehab. Lane notes marijuana, which has shown to reduce opioid prescriptions, could play a role. And a federal job guarantee program, where the government provides jobs with living wages for those seeking employment, could be a game changer for people recovering from addiction; especially if that work is providing services to people in recovery. 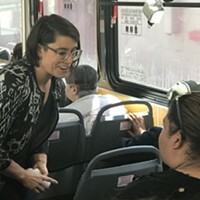 It can be a struggle for addicts to make their way back into the workforce, even though meaningful work is important for their recovery, according to Lane. “The ability to help other people, it feels so good, that can become your drug,” says Lane. Alice Bell of drug-treatment center Prevention Point Pittsburgh wants medical changes. She says increasing access to methadone and Suboxone, which treat opioid addiction effectively, is necessary to combat the crisis. Additionally, Bell thinks naloxone, a drug that reverses opioid overdoses, should be available over the counter and kept in people’s medicine cabinets. She also wants laws changed, so inmates can be treated with Suboxone, since time in jail can be a critical time for recovery. Thom Duddy of pharmaceutical company Adapt Pharma is trying to do just that. 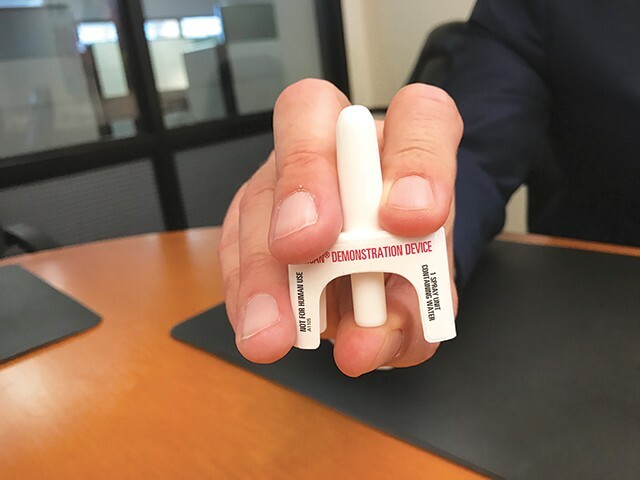 His company, which is based in Delaware County, created a device resembling a nasal spray that makes it simple for anyone to administer naloxone. Adapt was recently acquired by Emergent BioSolutions. Duddy says Emergent BioSolutions’ device should be used on people overdosing from prescription opioids and illicit opioids. Without insurance, the device costs $100-200, but with many insurance providers, the devices can be acquired for free. According to an October press release, Emergent BioSolutions' will be distributing its naloxone nasal-spray devices to 16,568 public libraries and 2,700 YMCAs for free. Needle-exchanges are another vital tool. These harm-reduction facilities, like Prevention Point, allow people access to clean needles, even to use illicit drugs. Bell says once users are in the facility, they have easy access to addiction treatment and other help.